The deep rich colors of Milk Paint authentically reflect those colors found on existing antique furniture and buildings. 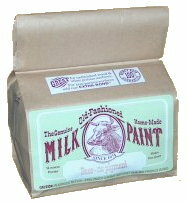 Milk Paint is made in small batches, using earth pigments. Modern paints cannot compare with the colors and the texture of the finish for achieving the "old aged" or "country look" of Colonial or Shaker furniture and early interiors. And, like milk paints used hundreds of years ago, the colors will not fade. Milk Paint will produce an antique uneven matte surface when first applied. Create a semi-gloss look by burnishing the painted surface. When used with our Antique Crackle, Milk Paint will result in a textured surface with a "time worn" look to accent country interiors. as either a wash-stain, full cover coat, or for stenciling. Many variations in color can be easily achieved. added to one pint of Lexington Green makes a wonderful historic Deep Green as used on Windsor chairs. Coverage(approximate): Pint, 35 sq. ft. • Quart,75 sq. ft. • Gallon, 300 sq. ft.
that could become beautiful furniture or wood turning timber. This is why we offer Eco-Orchard Paint used by California Certified Organic Farmer members. you consider using Extra-Bond in the first coat. 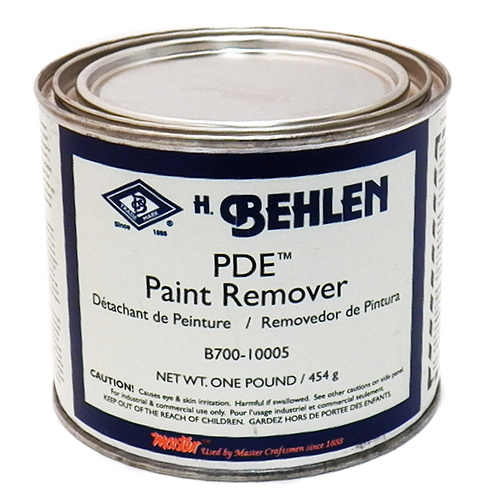 enamel, primed metal, oil or latex painted surfaces, varnish, shellac or polyurethane surfaces. for bonding on hard non-porous surfaces. It is environmentally safe and non-toxic, hypo-allergenic, low odor and VOC free. Add dry powdered pigments to make your own Chalk Paint colors. Traditional Milk Paint in Powdered form. Just add water. Old-Fashioned Milk Paint is organic, biodegradable, nonpolluting, permanent, and durable.